OUR WEBSITE CAN PROVIDE YOU REAL-TIME SHIPPING QUOTES FOR MOST LISTINGS. 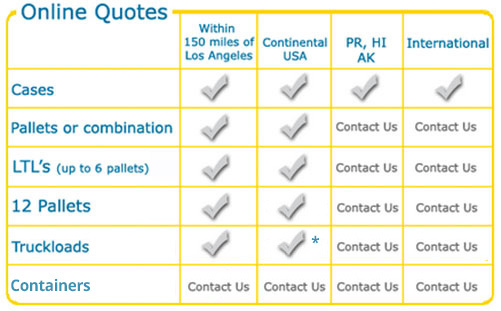 You have to be logged in for the shipping quotes to calculate. 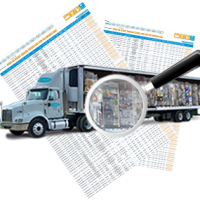 Obtain shipping quotes for your order online and in real time by simply adding the SKU(s) to your Floating Shopping Cart. 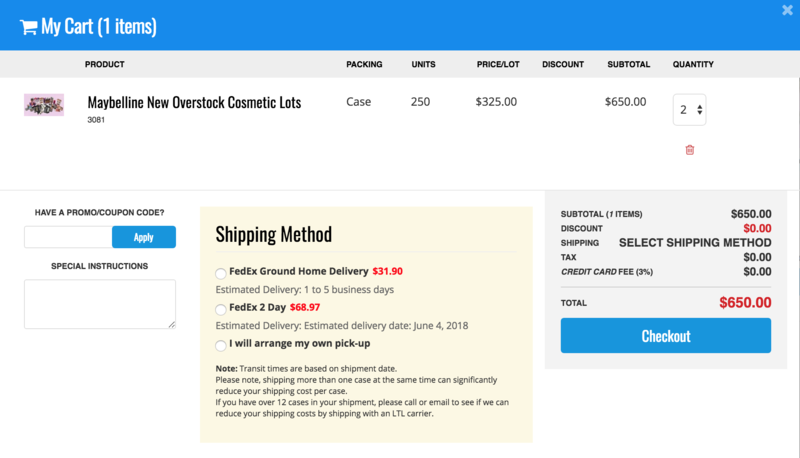 The Floating Shopping Cart will display the shipping cost & options available for your quick review. 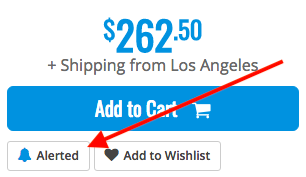 To add SKU’s to your Shopping Cart to obtain a shipping quote simply click on the “cart” or “get shipping” icons. To add SKU’s from Load Center simply select the SKU’s using the Check Boxes and then select “Add to Cart” or “Get Shipping” icons at the bottom of the page. 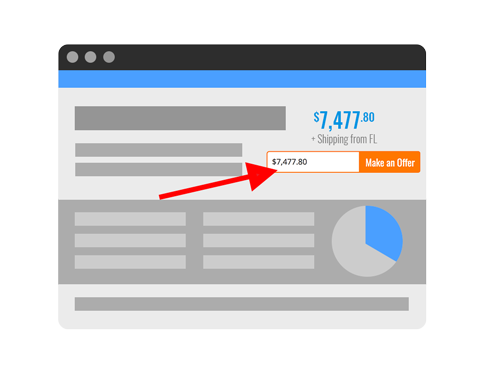 Add and remove items to your floating shopping cart and instantly see how it affects the shipping cost. * Estimated shipping quote will be provided in real time. Exact cost will be communicated prior to final invoice. 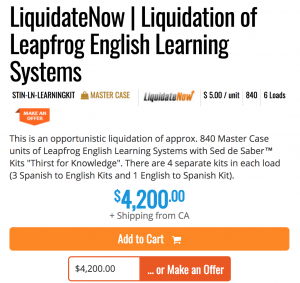 LiquidateNow is a service Via Trading Offers to Manufacturers, Stores, & Businesses to Liquidate their Excess Inventory. New Offers of mostly Opportunistic New Overstock or Master Case Wholesale Liquidate Lots are Listed Daily. Buyers can Make an Offer or Purchase Immediately at the Listed Prices. For access to Make an Offer Listings, click here. 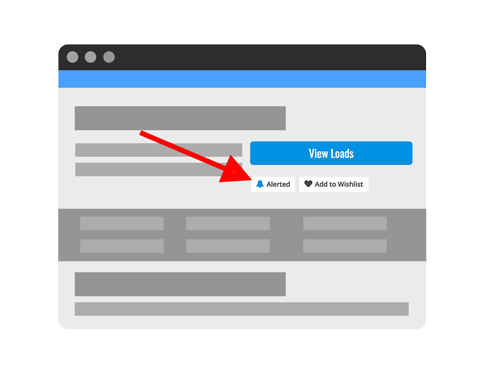 You can quickly and easily find Make an Offer listings at any time by checking the “LiquidateNow” in Product Type Filter or by checking “Making an Offer” in the “Product Features” filter at the top of the page. To purchase at the listed price, simply “Add to Cart”. 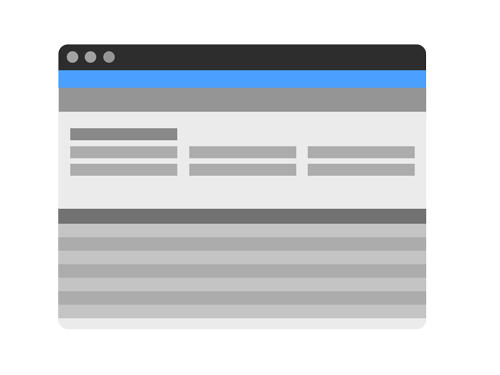 On the next form, you can Review and/or Edit & Confirm your offer. Sit tight – our LiquidateNow Team will get to work & we will be right back to you with an Acceptance, Rejection, or Counter. At Via Trading we love to keep you informed. In case it gets too much just let us know or edit your notification preferences. We send various types of emails & you can select to receive all, some or none. Customers who opted in to receive emails at the time of registration will automatically be subscribed to all 3 email types below. Customers subscribed to any of our eMail Lists will also occasionally receive News & Holiday eMails regarding closing times or dates for Holidays as well as any special news or announcements & also often include special Holiday offers and more. Ideal for customers who typically visit our facility and attend our sales events. Alerts about our upcoming Live Sales Events including product details, auction catalogues & more. Typically, daily. These are not automated and typically include greater details on only 1 or 2 listings. They also at times include special offers not advertised elsewhere. These can vary depending on your personal notification preferences and will keep you updated as to any new arrivals or modifications made to Listings you have selected. These emails are sent out immediately and you will be the first to know of any new arrivals for any of our listings should you have selected to be notified. You can adjust those yourself or simple email or call your AM to assist you. At Via Trading we love to keep you informed. In case it gets too much just let us know or edit your email notifications. 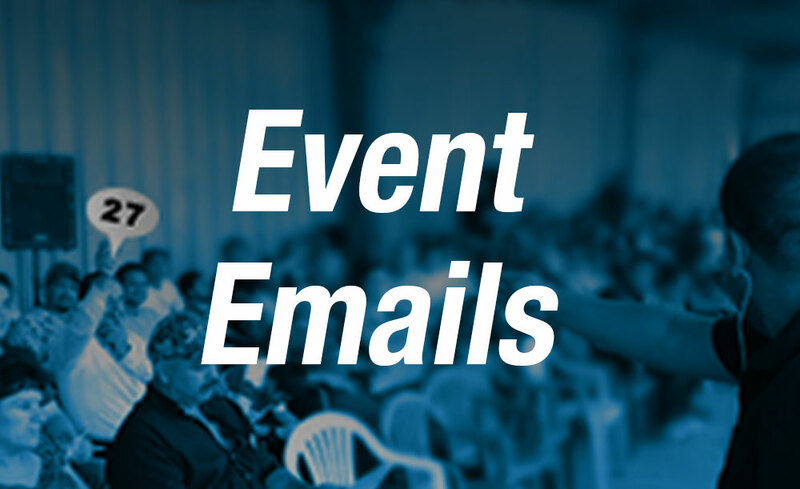 We send various types of emails & you can select to receive all, some or none. Customers who opted in to receive emails at the time of registration will automatically be subscribed to all 3 email types below. Typically, 3 every 2 weeks or so. 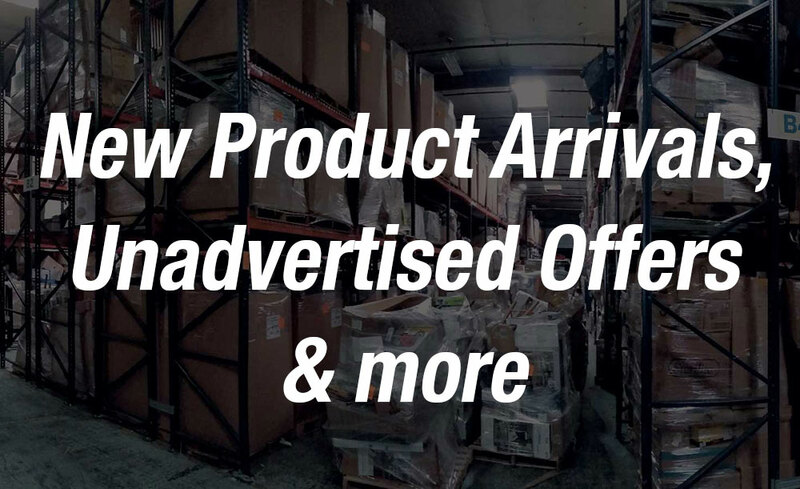 Those will illustrate any new products, items placed on special sale, new loads added and be customized based on your order history, demographics or listings you have engaged with on the website. They will also include things like useful Articles, Case Studies, Video’s & more. Create your Own Custom Alerts. Be the first to know when any listings matching your product criteria are added, back in stock or have been modified in any way. 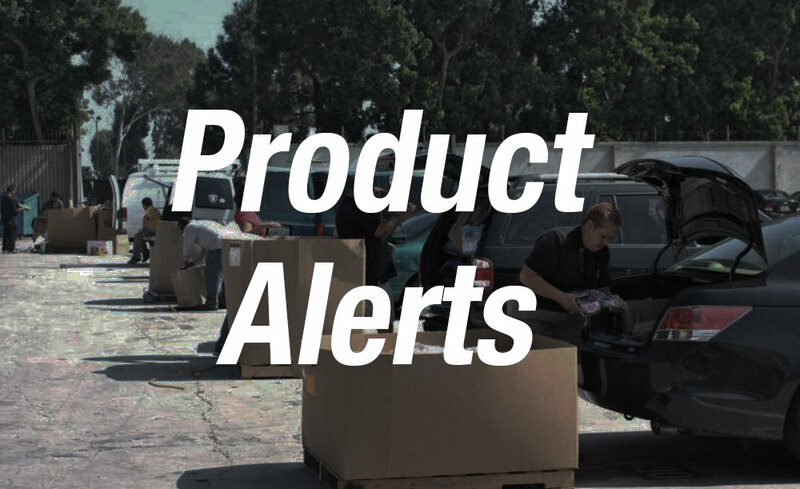 Within each product listing details page – simply click on the “Alert” Icon. 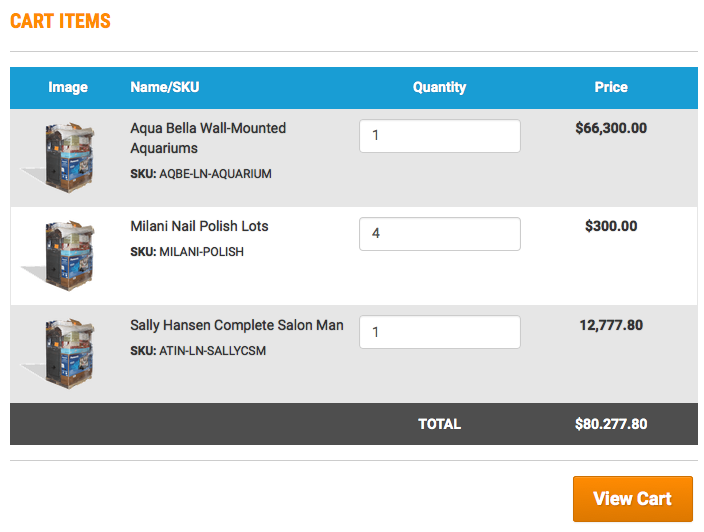 Use the filters to filter the product List based on your preferences and then apply the custom alert. Register for our monthly events online! Simply click on the event of your choice from our events page, log in to your account if you haven’t already, and register for the event with one click! Once you see the confirmation page, you are all set. Just bring yourself, a method of payment to the event and get ready for some deals! Pre-registering isn’t a pre-requisite to attend – but it will definitely save you some time “checking in” to the event and streamline your way in. You can easily view and retrieve all past invoices, purchases and any Manifests for Loads you have purchased form us. Simply log into your account and click on “View & Retrieve Manifests.” Once you’re there, click on the order or manifest of your choices to view and/or download the manifest to your computer. Customize your own alerts. Choose from specific listings or create a bulk alert whenever new listings or arrivals match your chosen criteria. New filters to help drill down and find the loads you need. New filters for Seasonality (Fall/Winter OR Spring/Summer), Age & Genre (Men, Women, Kids), Holidays (Christmas, Easter, Halloween, etc) & more. 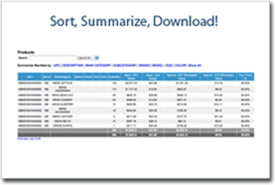 See quick summarized information for any manifested load. So many loads to choose from? 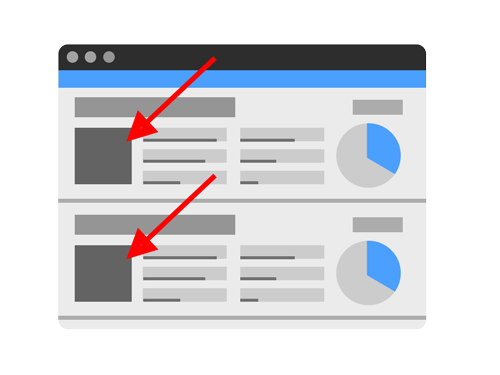 Use our New Compare Load Feature to make an easier choice. New Product Type Flag to better organize our inventory between manifested programs, flat priced pallets, assorted case packs, LiquidateNow Make An Offer listings and À La Carte Cosmetics. 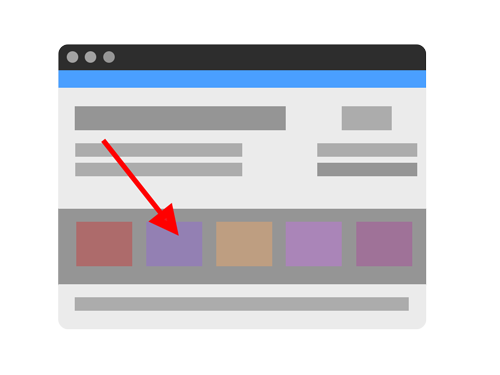 Now showing images of the actual load when available. 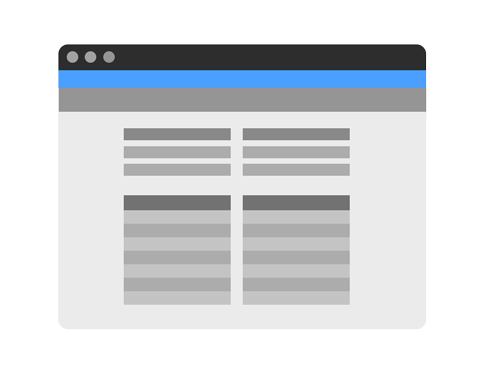 Details view, Tab View or Load Center view. See a LiquidateNow Offer listing you like but don’t like the price? Make us an offer using the Make An Offer form. Filter out items by type of packing. If you are only interested in case packs or items that can be shipped by UPS for instance, tick the “Case” box. If you are interested in pallets, tick the “Pallet” box and so on. 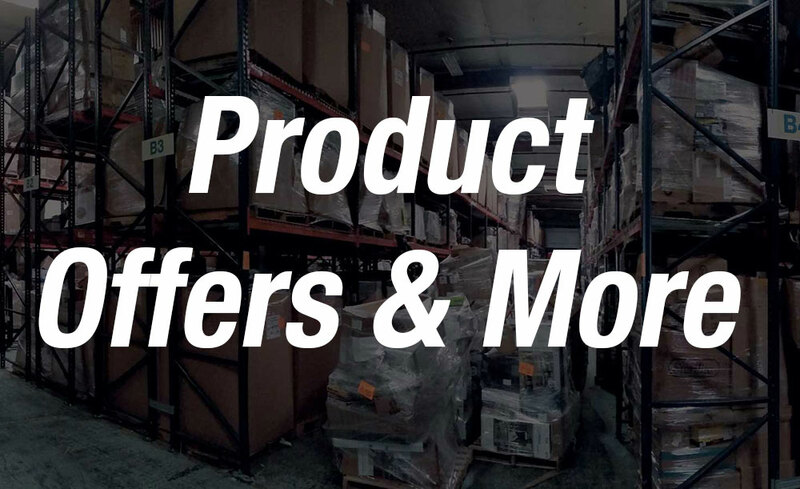 Visit our resource pages for more information about how wholesale merchandise is packed. To filter products by condition, select the condition(s) of your choice. 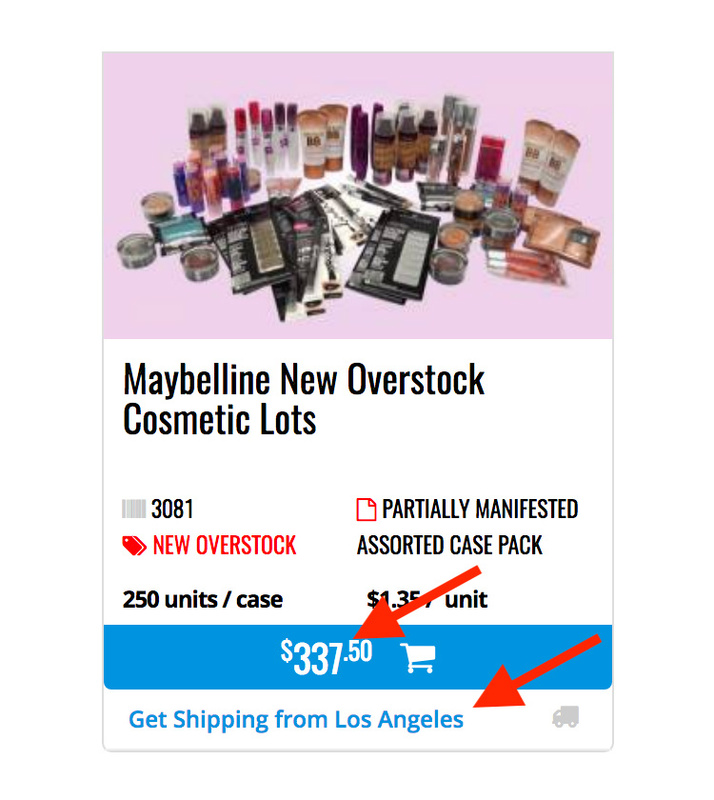 If you would like to see items that are New Overstock only, tick the “New Overstock” box. If you would like to see New Overstock and Shelf Pull items, tick one box, wait for the page to refresh and then tick the other. 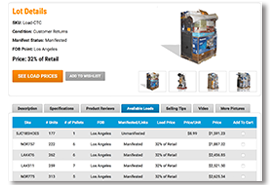 Visit our resource pages for more information on wholesale product conditions. If you prefer to purchase on my manifested items (items that come with a detailed list of what is inside), tick the “Manifested” box. The majority of the items we sell are unmanifested. We do provide detailed descriptions, pictures and a good idea of what you can expect to receive but unmanifested lots will always contain a mix of items within a given category. If you would like to see both manifested and unmanifested items, leave these boxes unticked. The Product Features section defines the types of items that are available. You can search by “New Arrivals,” items that are on “Sale” items that are “Opportunistic” or “One Time Deals” and will be sold out once they’re gone, and items that are appropriate for Fulfillment by Amazon. When you click on a category, you now have the ability to narrow down your search according to various metric like: packing, product category, product condition, price range and more! Clicking on “all products” will allow you to filter through all products in stock. Clicking on a particular category allows you to filter products within that specific category. 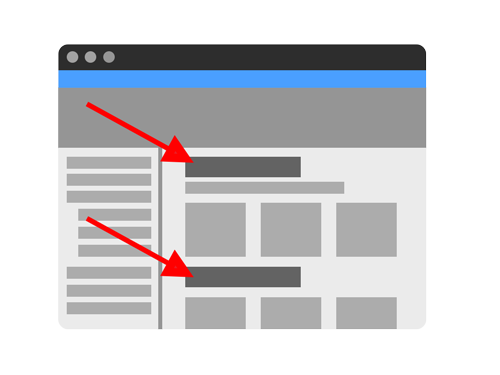 To use it, simply tick a search box, and wait for the page to refresh. To narrow your search further, tick another box, and let the page refresh again. Continue this process until your search is narrowed down to what you are looking for (for example: All items that are packed by the case, are new overstock and under $500. 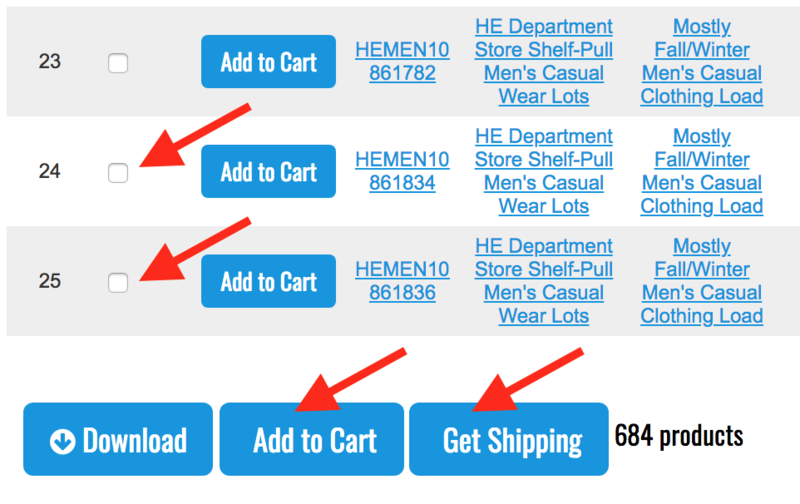 You can now keep track of the items in your shopping cart with just one click! Once an item or more has been added to your cart, click the “View Cart” link on the top right hand corner of the page to view the contents of your shopping cart without leaving the page. 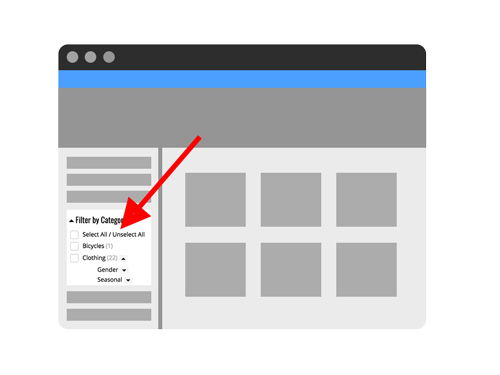 You can update or change the contents of your cart from this floating cart view, or click the “View Cart” button again inside the floating cart to edit your selections in the main shopping cart page.